The ibis Styles Caen Centre Gare hotel welcomes you to Normandy. Take advantage of our ideal location between the downtown area and the train station for visits to the city of William the Conqueror, the D-Day landing beaches and Mont Saint Michel. 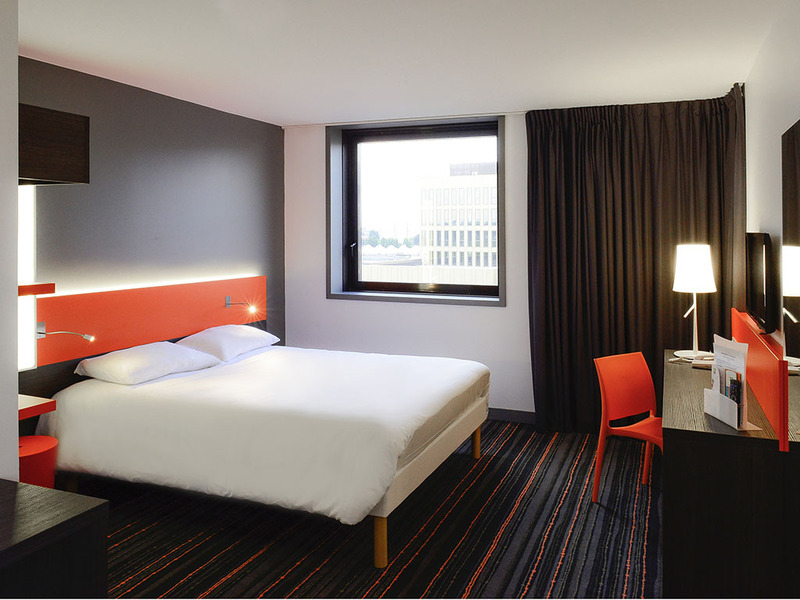 The ibis Styles Caen Centre Gare is located close to the city center and Caen station. Discover the comfort of our spacious, stylish, air-conditioned rooms, fitness room, bar or our 2 meeting rooms. With us, there are no surprises; breakfast and WIFI are always included in room rates. Our location close to shops and the movie theater makes this an ideal place for your business trips, vacations and family getaways. Warm, welcoming and modern, with a comfortable bed and a practical bathroom, our rooms offer everything you need for an enjoyable stay. All our rooms are air conditioned. We also have family rooms that can accommodate up to 2 adults and 2 children under 16 years of age. Fancy a moment of relaxation? For a drink with friends or a business meeting, come and enjoy a pleasant moment in our stylish bar, in the center of the city and close to the train station.